Trendease covers over 100 design events a year; currently 25,000 images in an excess of 900 reports keep 120 countries in the know! 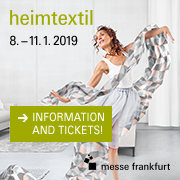 We are happy to be the exclusive online media partner for Heimtextil. Colors, styles, and product innovation abound in this issue of Trendease! Explore in-depth highlights from Tokyo Designer’s Week, Shanghai Creative Industry Week, and a plethora of other international events. Note Spring/Summer 2009 color and design trends in exclusive advanced reportage from Le Cuir à Paris. Review the hottest new fashions in textiles, furnishings, tabletop, lighting, accessories and beyond. Get inspired with the December edition! Heimtextil, Jan. 9-12, Forum 0-A03; Trendease Tidbits daily 2pm & 4pm. Interiors Birmingham, Jan. 20-23, Collection Hall 7-E23; stop by for a special surprise! Maison&Objet, Jan. 25-29, Scènes d'Intérieur, Hall 5b in Village de la Presse. Shanghai — Wow! Can it be that last month of 2007 already!?!? Apparently so. How time flies when you are having fun. And boy have we had a lot of fun and challenges this year bringing you inspirational images and news from around the globe. Attending over 100 design events was both invigorating and exhausting, and at the end of the day, completely worth it. January will be the start of yet another year chock full of design. Here read Jennifer’s thoughts and see some of the most intricate fashions. Shanghai — Shanghai is a hotbed of development these days. This city is flourishing with creativity and is breaking the reputation of being knockoff central to focusing on nourishing its local inventiveness. China as a whole is shifting gears, and Shanghai is the perfect example of this. The early adopters and first movers of the creative industries participated in the Shanghai International Creative Industry Week (SICIW), where inspiration and future aspirations thrive. Tokyo — The collaboration between the Design Association of Japan who have run Tokyo Designer’s Week for 20 years and Reed Exhibitions has proven to be an appropriate marriage. This was the first time that the Trendease Team had attended the 100% Design event in Tokyo, but having explored other of Reed Exhibition’s 100% Designs, it is safe to say that the Tokyo venue is one worth attending. Tokyo — Tokyo Designer’s Week was saturated with events this year. After 20 years running, managed by the Design Association, this edition shows no signs of it slowing down any time soon. 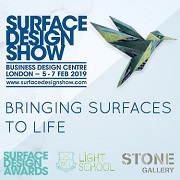 A balance between established design and cutting-edge student representation mixed with new talent, there is plenty on offer. One of the most innovative forms of display was the popular "Container Ground" exhibition where designers use their creativity to fill grounded shipping containers. Tokyo — “No Windmills, Cheese or Tulips” is part of NL4 Design, a program to promote Dutch designs both in the Netherlands, and internationally. At Tokyo Designer’s Week they presented an exhibit that conveyed the main message of the program: The Netherlands have much more to offer than windmills, cheese and tulips! Tokyo — This compilation of artisans integrates knowledge and ancestral traditions envisioning designs to suit today’s tastes. Today, where much design is future-forward and technologically advanced, it also appears that the old, combined with the new, give way to fresh possibilities and fascinating novel means of production. Here it is possible to enjoy the past, present and future at the same time. Worldwide — Trendease is happy to present an exclusive sneak peak of what is in store for Le Cuir à Paris trend directions for Spring/Summer 2009 to be shown during PV Pluriel in February 2008. This fashion information is geared towards the leather markets including ready-to-wear, decoration, footwear, leather goods and gloves. This preview includes a description, buzzwords, and Pantone color references. Tokyo — Blickfang, a European design trade show, was founded in Stuttgart, Germany ten years ago to promote up and coming designers from interior design and fashion as well as jewelry. Since then it has branched out to exhibit in Austria and Switzerland. Last year it ventured into Tokyo for the first time. This second edition showcased approximately 40 talents from Belgium, the Czech Republic, Switzerland, Austria, and Germany. 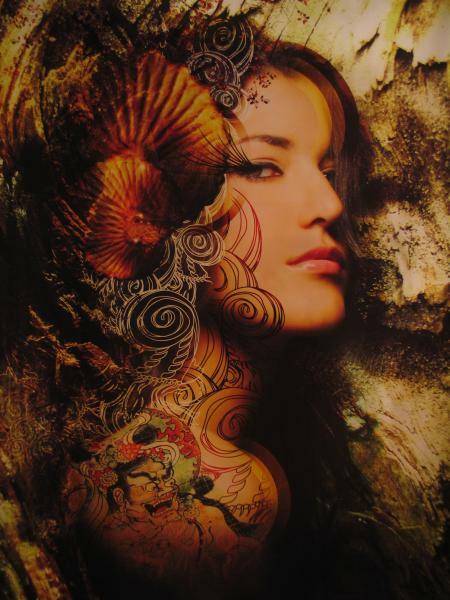 Worldwide — These designs represent new innovations on the eco-chic trend front, a phenomenon which is rapidly establishing itself in a growing number of markets. This includes everything from interior/exterior design and architecture to everyday items. As eco-chic innovations take a step further into fulfilling expanding world demands, being simply chic is no longer enough. Paris — May this gallery bring you holiday cheer and inspiration. From apparel and accessories to home fashion to toys, these shop windows are bound to put you in the spirit. Without a doubt, the color of the season is white, and the product of choice is the chandelier, proudly displayed not only in the hottest dining rooms but as the décor on the Paris streets and in Place Vendome. Multiple European Cities — Yesterday Messe Frankfurt Exhibition GmbH and Trendease International LLC publicized that Trendease will be the exclusive online media partner to review the trends presented at Heimtextil. To celebrate the media partnership Trendease is offering the Heimtextil 08/09 trend book as a gift. Going along with the textile festivities, subscribers have access to this week’s gallery with over 40 images of the hottest bedding designs. Multiple European Cities — Often the holiday season can leave one longing for a nap after endless, shopping, cooking, eating, and making the family rounds. This gallery can add style to one’s twenty winks. In this newsletter, subscribers can rest their eyes on over 100 of the hottest decorative pillows and read the latest market tidbits on consumer groups and new market opportunities. Worldwide — Around the world many businesses are winding down for the holidays (unless, of course you are exhibiting at an upcoming winter trade show, working 29 hours a day). Whether you are wound up or you are taking a little time off, the Trendease Team would like to wish you all the best this holiday season. We are proud to present to ALL readers our 4th annual holiday team photo gallery with the hope to spread cheer across the globe. Heemstede — Experimentation with denim and a mélange of rubber, metal, coatings, and a diverse range of techniques, this week’s gallery features New Denim from a new talent who has created a line of deluxe denim for new interior applications. Subscribers are welcome to see the quilted, shredded, embossed, puffed, woven, calendared, twisted, and metallic outfitted fabrics within this newsletter while reading up on the latest market tidbits.